For the second time in a row this year, Team India have started a T20I series with a loss. India had previously suffered a heavy 80 run defeat against New Zealand earlier this month in the first T20I of that series. But they managed to bounce back in style and won the second T20I comfortably. Virat Kohli and the Indian team management would be hoping for a similar kind of outing in the upcoming second T20I against Australia. RCB's home ground Chinnaswamy Stadium is set to host the second and final T20I match of the current series. This is one of the most batting friendly venues in India. The hosts have played 3 T20I matches at the stadium so far. Of those, they have won two matches and lost one. 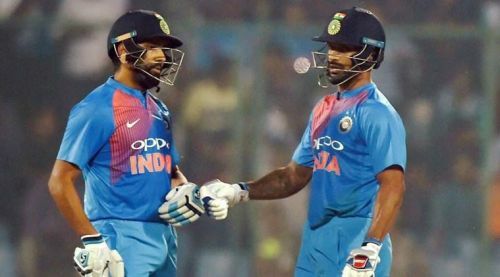 Shikhar Dhawan was rested for the first match and KL Rahul was selected as the opening partner of vice-captain Rohit Sharma. Rahul utilized the opportunity and scored a fine half-century in the last match. The team management would look to give Rahul more game time so there are high chances that Rohit will be rested this time around. Shikhar Dhawan will most probably open the innings along with Rahul in the second match. Rohit has played continuously since January so it might be a much-needed break for the flamboyant batsmen. Coming to the bowling department, India might be tempted to give Siddarth Kaul a chance considering his consistent performances in IPL over the last few seasons. Umesh Yadav's inability to control the run flow in the death overs might cost him his place in the XI. 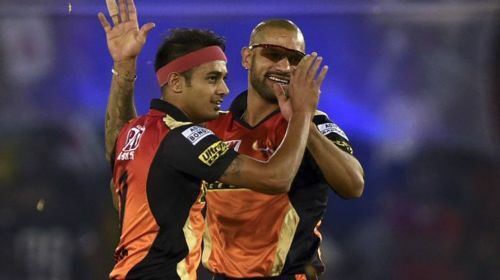 Kaul has been a proven wicket-taker in IPL for SRH so Kohli might look to bring him in, to provide support to the menacing frontline pacer Jasprit Bumrah. There are chances that Kaul might replace Mayank Markande if the management decides to go in with 3 pacers and 2 spinners combination. KL Rahul, Shikhar Dhawan, Virat Kohli, Rishabh Pant, MS Dhoni, Dinesh Karthik, Krunal Pandya, Mayank Markande, Siddarth Kaul, Jasprit Bumrah, and Yuzvendra Chahal.